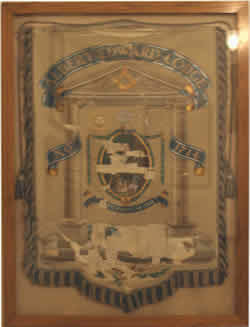 The current Lodge Banner is probably the fourth in the history of the Lodge. More will be written on this in due course. 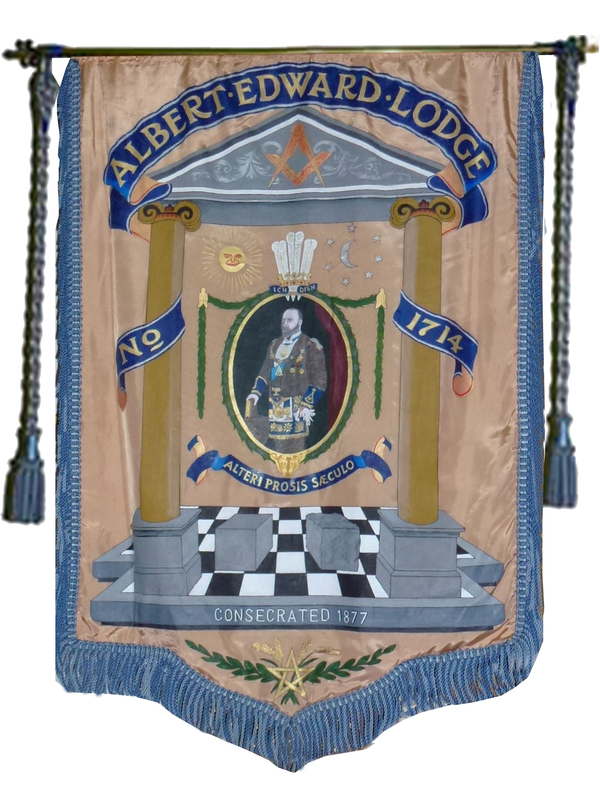 The third banner was the result of much research and dedication by W.Bro Michael Alliott PGStdB, who explains explains how it came into existance in an email to W.Bro Brian Cox (Snr) …. Back in 1994 just after I became the Treasurer and Secretary of Agincourt Hall Ltd. I found what I believed to be the second banner up in the attic of the building. This is now framed and displayed on the stairs leading up to the Temple. As you can see was painted on silk and had deteriorated so much that it became unusable. I took it to Sotheby’s in Billingshurst where they had a restoration service. The quotation that I received was £ 2,500 which proved to be unacceptable so decided to make a “replica.” This is painted on nylon with acrylic paints. I am no artist so the first job was to obtain the centrepiece, a portrait of the then Grand Master, Albert Edward Prince of Wales, whose name we bear. Did you know that there are currently 8 Lodges named after him all formed around the 1850s. 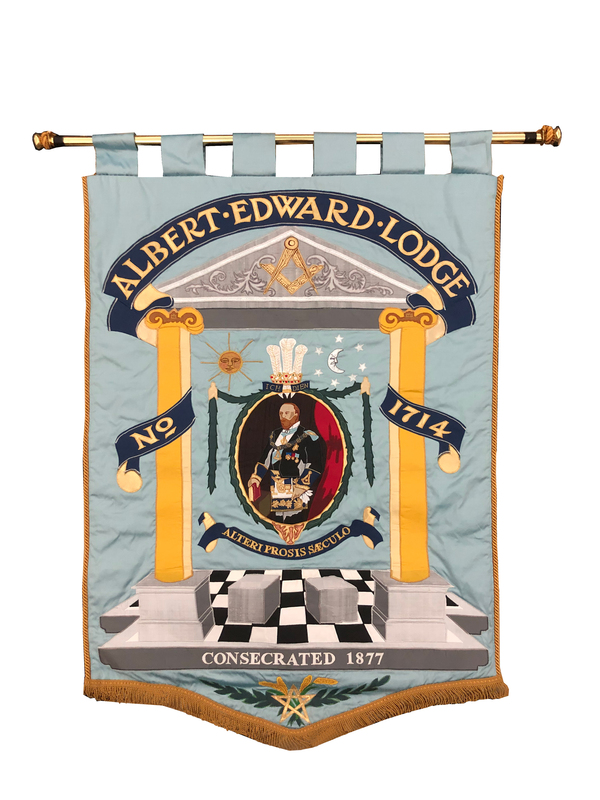 I found in the library at Freemasons Hall, Great Queen Street in a reference book the very picture of him that was used all those years ago to make the first banner. Following an application to the Royal Photographic archives at Winsor Castle I obtained a print from the original negative. I took this, with the material that I wanted to use to one of those shops were you can get your photographs transferred on to tee shirts and they made the transfer. I used the original pole at the top of the banner but all the rest, including the fringe and tassels were bought at an upholstery shop in Guildford.